Our annual Vacation Bible School is conducted by our church members and consists of 5 consecutive days of Bible lessons, games, and dinner for children ages 5-12. The cost is free. 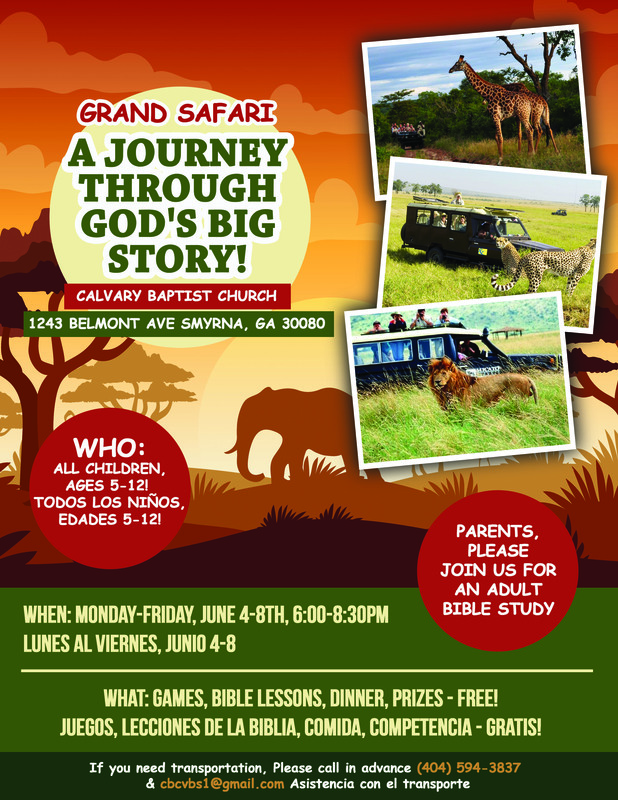 To register, print and fill out the VBS Parental Permission ’19 and bring it with you on Monday, June 10th. Have Questions? Call the church office at 770-432-0088.